It’s Tuesday…..that means it’s a Tampa Bay Tuesday and I am reviewing “Acropolis Taverna” in Ybor City. The Menu is Filled with Healthy Options! Charbroiled, thickly sliced eggplant grilled with crushed red pepper over spring mix with tomatoes, kalamata olives, red onions, halloumi cheese & cucumber. Served with oven toasted pita strips and pomegranate vinaigrette. Tell your waiter “NO” pita strips! & put the dressing on the side! Again…..Tell your waiter “NO” pita strips! & put the dressing on the side! One more time…..Tell your waiter “NO” pita strips! & put the dressing on the side! They have soups, more salad, vegetarian “MOUSAKA” as we say in NY or Mooosakaa in the rest of the U.S. Delicious Hummus…..They also have What I call …..Babaloo! but is actually called….. Baba Ganouj…..which is Roasted eggplant spread….. topped with extra virgin olive oil. Just Leave the Pita off your plate and chow down on all these healthy vegetables, fish and meats! Here’s what I ordered the night of the review…. In NY…..the Italians say “Cala maaaa” Us NYers barely finish a word. Calamari is the Italian word for “Squid.” Squid has an elongated body with tentacles. The meat is white and firmer than Octopus. When cooked right, it should taste firm but NOT rubbery. Octopus has a round head and body with tentacles. The meat is sweet and not firm. You learn a lot when you research things! Never had Octopus before. I said…..bring OUT the OCTOPUS! And….I have to tell you….it was the “most TENDER” Octopus I have EVER had! Grilled octopus marinated in lemon and olive oil vinaigrette with fresh garlic, capers, zucchini and diced tomato. I ordered the Grilled FRESH Red Snapper. Now….this comes out as a “Whole” red snapper …..the entire fish….head, EYES, tail….FISH on a plate! It is marinated in rosemary, garlic, extra virgin olive oil and fresh lemons charbroiled and topped with the house lemon-herb marinade. You get a choice of two sides. I ordered the Roasted Vegetables and Artichoke Quinoa! I don’t particularly like looking at a FISH Head on my plate, and I certainly don’t like all the bones, but RED SNAPPER is a nice sized fish, where I was able to eat most of the body meat, without biting into any bones. The RED SNAPPER was cooked Perfectly! The meat was falling off of the fish. Made it easy to eat & not get any bones. The Roasted Vegetables were carrots and squash. VERY Good. Seasoned well and tender. The QUINOA was FANTASTIC! Lot’s of YUMMS…..coming out of my mouth! Overall, the meal was absolutely DELICIOUS! Acropolis ….of course…..is known for it’s Delicious and Authentic Greek food…..but Acropolis….also has…….ENTERTAINMENT! A Belly Dancer starts the Entertainment! A beautiful woman dressed for “Belly Dancing” dancing around the entire restaurant, entertaining you while you’re eating. What the heck is Bouzouki Plate Breaking you ask? When the music is played from the Bouzouki…(like a mandolin) The manager or owner of Acropolis starts the clapping and moves towards the barrel or bucket. He picks up a stack of plates and then as fast as he can………he starts flinging the plates into the bucket, breaking the plates, with pure passion….until the stack in his hand is gone! This is like done in around 5-10 seconds! FAST! Then ……..the crowd reacts to the demonstration with a HUGE “OOPA” if they are satisfied! OPA literally translates into “Oops” but in Greek…..it has taken on the “emotional response” and admiration for Breaking the plates in excellent fashion. “Zorba the Greek.” In the movie…..Alexis Zorbas (played by the famous Anthony Quinn) dances to not only relieve his stress, but to be the “inspirational force” that guides him to confront and finally ……. Overcome the challenges he was facing in life and work. It’s a moving, uplifting moment at Acropolis! Patrons are waving napkins and throwing them on the floor as a final gesture of their excitement and admiration for the Bouzouki plate breaker. Lots of fun and great food at Acropolis! The food was fresh and delicious. The staff were engaging, polite and brought out each dish at the appropriate times. The manager was seen going from table to table making sure the guests were happy. The owner, Sam was fantastic! Not only was a hell of a “plate breaker” I watched him speaking with staff as well as customers, to ensure everyone was having a great evening. Acropolis gets a BIG 2 Thumbs up for it’s fresh and healthy food choices. Don’t look at or touch the Pita’s and you will enjoy your meal at Acropolis. Acropolis also gets a HUGE 2 thumbs up for its Entertainment! Really breaks up the evening and gets everyone in the place involved and uplifted! Thanks to Sam for providing top-notch food and entertainment for the Tampa Bay residents and tourists. for more information at each location. 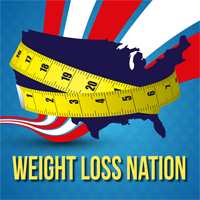 Want more information on Weight Loss Nation? Join me and the other members on our long-term Healthy Lifestyle!